Second in a series of profiles on the seven men to be ordained priests for the Archdiocese of Philadelphia on May 18. 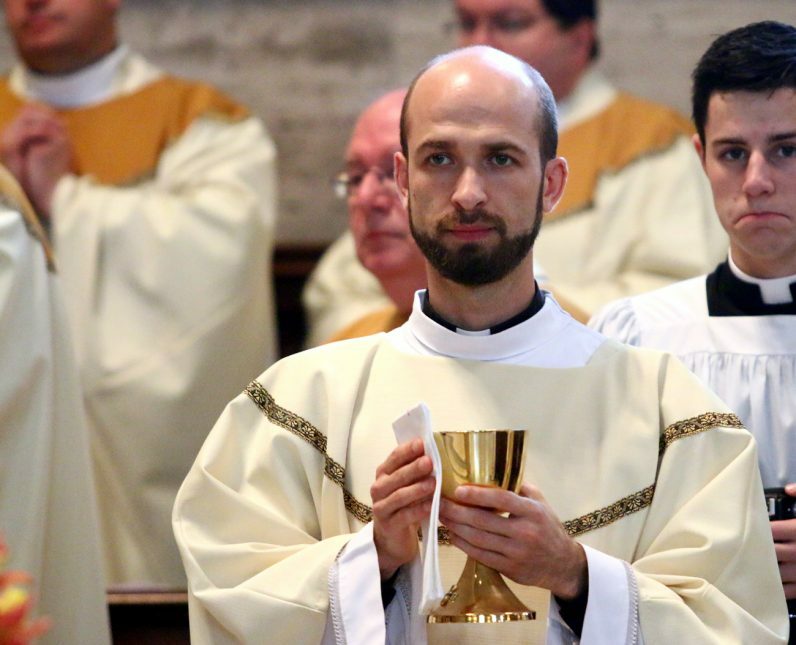 Deacon Francesco Maria D’Amico, 34, who will be ordained a priest for the Archdiocese of Philadelphia on May 18, has a unique distinction. He is not only named for St. Francis of Assisi who is arguably the church’s most beloved saint from the Middle Ages, he was born and raised in Assisi. He also happens to be a member of the Neocatechumenal Way, a fast-spreading movement within the Catholic Church that stresses community and evangelization. One of the nine children of Eduardo and Stefania D’Amico, the family was Catholic, if not particularly practicing, when he was very young but it became more so as he grew older. In fact his father was president of the Assisi tour guides’ association, which is a big thing in the town because of tourists’ draw to St. Francis and St. Clare. Francesco well remembers Assisi’s devastating earthquake of 1997. On the day after, his father was in the basilica when there was a severe aftershock that nearly destroyed the church. He escaped with his life but one of his companions did not. “Our house was severely damaged, and we lived in a RV supplied by the government for the next three years. It was very hard especially since my dad could not work because tourism dropped,” Deacon D’Amico said. As he got older Francesco began drifting away from his family. “I wanted to be somebody, to have money and be popular,” he recalls. A good athlete, he thought soccer could be his ticket to success. On the day he expected to be recruited for a youth team of one of the professional clubs in Italy, the unthinkable happened. During a game he suffered a broken leg so serious it ended any chance of a soccer career. Embittered, Francesco turned completely against the church and God, choosing the world. He played in a rock band. He spent his time drinking, getting high, indulging in all that lifestyle had to offer. “Life was a pigsty,” he recalls in retrospect. But somewhere inside he knew his life was out of control and he would have to do something, to get away for a bit, perhaps. When he was 21, through a friend he received an offer to travel to Israel for a year, and he thought maybe that would help. The offer really came from the Neocatechumenal Way and the place where he would be staying was the Domus Galilaeae on the Mount of the Beatitudes — the same facility where a group of Philadelphia priests recently headquartered during a trip to the Holy Land. It was really the parable of the Prodigal Son in his own life, and if he was the returning prodigal son, the father figures were Father Rino Rossi, the rector of Domus Galilaeae and Father Diego Sanchez, his spiritual director to whom he credits his rebirth into the Catholic faith. After returning to Italy he mended his fences with his family and friends he may have offended, and started to live a life centered around the Neocatechumenal Way. Meanwhile, he dated like-minded girls, thinking it would be good to be a husband and a father, but there was also a call to the priesthood and in the end that won out. When he made his decision he had to go to Porto San Giorgio, Italy where after discernment there was a huge lottery. All of the aspirants put their names on slips of paper that were placed in a basket with other slips noting the names of cities around the world with a Redemptoris Mater Seminary for the Neocatechumenal Way. One by one, names were drawn at random for a candidate and matched at random with a seminary. Francesco thought he would get India or China and was shocked when he was matched with Washington, D.C. “It was God’s will,” he said. While in Washington he studied at the Catholic University of America. In 2013, when Archbishop Charles Chaput authorized a Redemptorist Mater Seminary in the Philadelphia Archdiocese, he was transferred here. At first the Way’s seminarians lived in quarters at St. Barnabas Parish in Southwest Philadelphia, and now at the former St. Louis Parish in Yeadon, while completing his theology studies at St. Charles Borromeo Seminary. 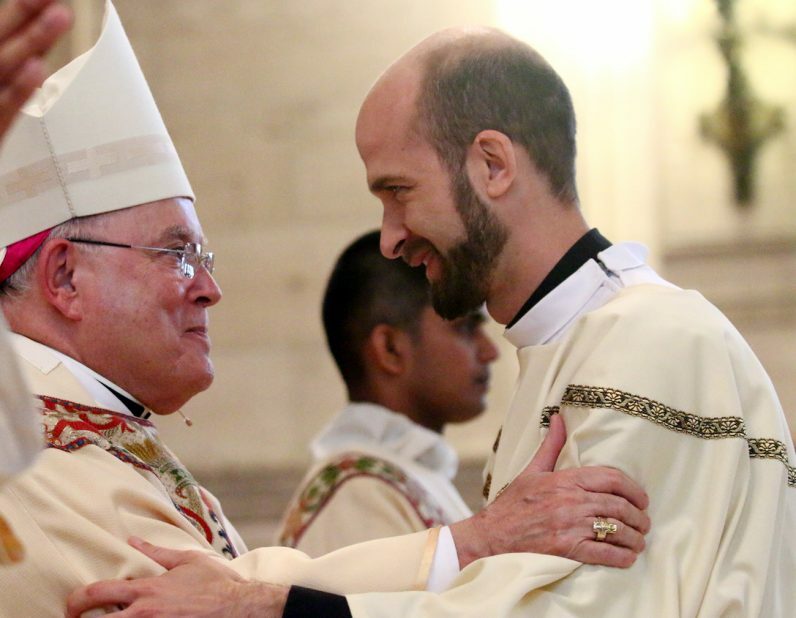 He was ordained a transitional deacon in May 2018. 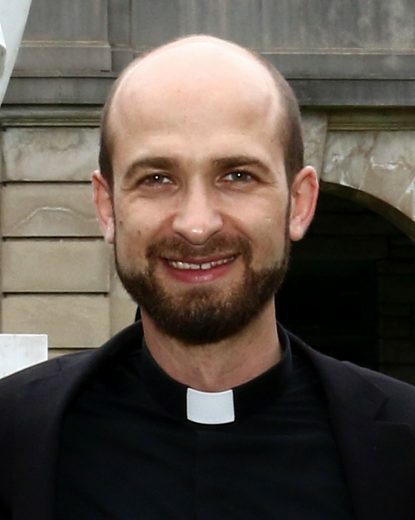 While he will remain a member of the Neocatechumenal Way, he will be a priest for the Archdiocese of Philadelphia under the jurisdiction of the archbishop. For Deacon D’Amico it has been a long journey to the priesthood, one that really began at the summit of the Mount of the Beatitudes.